For many people, the excitement of traveling outweighs the stress that sometimes goes along with it. Whether you’re heading home for a big meal, traveling for business, or leaving on an extended vacation, watching your diet and keeping up with exercise is always more challenging when you are on the go. Luckily, with some preparation and proactive planning, travel with diabetes doesn’t need to be complicated. 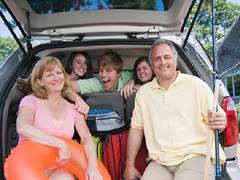 It’s a given that you’ll need to pack more than enough medication, insulin, and related diabetes supplies for your trip. In fact, the American Diabetes Association recommends packing twice the amount of supplies you’ll need and keeping half of it in your carry-on bag so it is with you at all times. Learn to say “I have diabetes” in whatever language is spoken in your destination country. Familiarize yourself with the medical facilities and healthcare system ahead of time. Plan how to handle time zone changes and disrupted eating schedules with your physician or diabetes educator before you leave. Prescription laws may differ greatly in other countries. Before you go, get a list of International Diabetes Federation groups at www.idf.org. What you should also have with you, however, is a letter from your physician that explains your condition and lists what medications and protocol you need to manage it, as well as a prescription for insulin, syringes, or other medications in case of emergency. You should also wear a medical ID bracelet or necklace. Carry healthy snacks with you in case of delays – you don’t want to experience a low blood sugar if your eating schedule is interrupted. If you are flying, request meals that are lower in fat and sugar ahead of time. Carry bottled water with you, since hydration is an important component of travel. Remember that while your current insulin vial or pen doesn’t need to be chilled, extreme temperature shifts in either direction can lessen its effectiveness. Don’t leave your insulin in bags that are exposed to direct sunlight, and if you are traveling by car, don’t leave it in the glove compartment or trunk, where it could get too hot or, depending on the season, too cold. Even if you’re waiting around at the airport or train station or sitting in a car, there are still things you can do to keep your blood flowing. You can move your toes up and down several times, or, if you have the leg room, stretch your legs in front of you and raise and lower them for a few repetitions. Keep walking, whether it means taking frequent walks around the airport waiting area or getting out at gas stations and rest stops to take a few laps whenever possible, maintain some sort of activity. 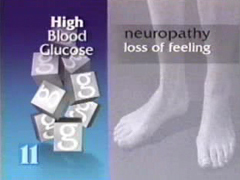 Remaining too sedentary can be harmful for your legs and feet. Plan ahead for your final destination. If there is a gym or exercise room, map out a regular routine before you leave, and make sure you factor your exercise time into your schedule. If your ultimate destination lacks exercise facilities, don’t let that stop you. Stretching exercises and push-ups and sit-ups are easy to do even in small places. Bring a pair of sneakers or comfortable walking shoes and familiarize yourself with the area. A brisk walk is a great way to see sights and keep your heart rate up, too.